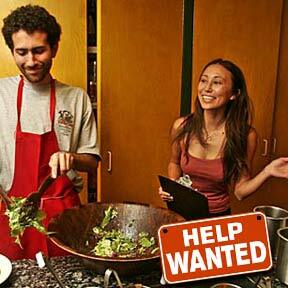 Help Wanted: Jana Park-Okuna of Volcano Joe's is one of the many success stories in a booming job market. Here, she jokes with Dominick Takis as he makes salad for the lunch crowd. Little-noticed diversity in Hawaii's economy means the job market might cool, but won't go bust.